I grew up with no father and lived 3 km away from my school. I walked under the rain on many occasions when one day I got into an accident that left me crippled for two years. After three operations, I was able to walk again and resume my studies. I graduated from secondary school with an average of 78. 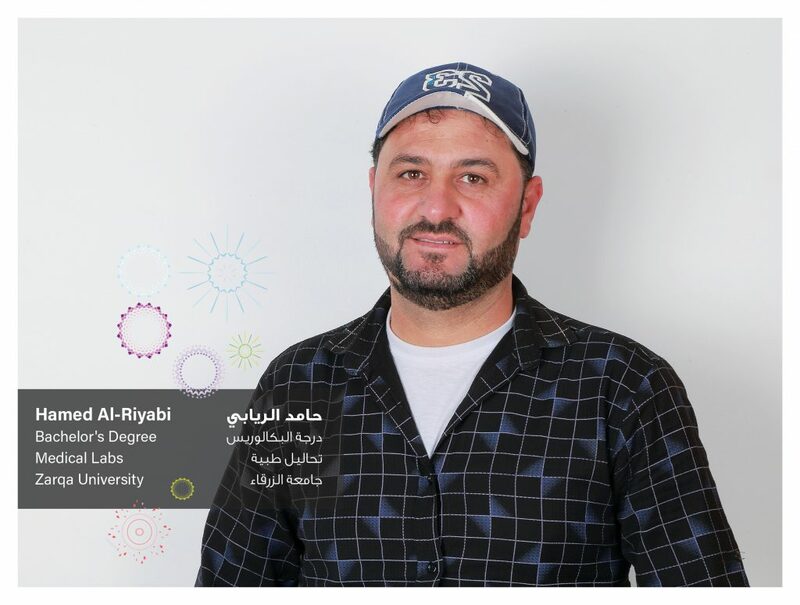 Because of my desire to study chemistry, I enrolled at Furat University in the northeastern part of Syria. In my second year at university, I took part in the Dr. Nizar Hamdan’s Award and won third place in the research project I presented about Nanotechnology. Thereafter, I fled with my wife and daughter to Jordan and ended up living in Zaatari Camp. At the camp and after a period of 5 years, I began to lose hope in completing my studies. Despite my feelings of desperation, my hope of completing my higher education never died and I was miraculously awarded the European Union EDU-SYRIA scholarship that enabled me to study Applied Medical Sciences at Zarqa University. I am currently completing my fourth year in my major Applied Medical Sciences, with a concentration in the field of Medical Analysis and I hope to enroll in a training course in the field of test tube baby technology at the university I am currently studying at. I am grateful for EDU-SYRIA, the European Union, the German Jordanian University and Zarqa University for helping me and my fellow citizens in completing our higher education and therefore enabling us to rebuild our country in the future.